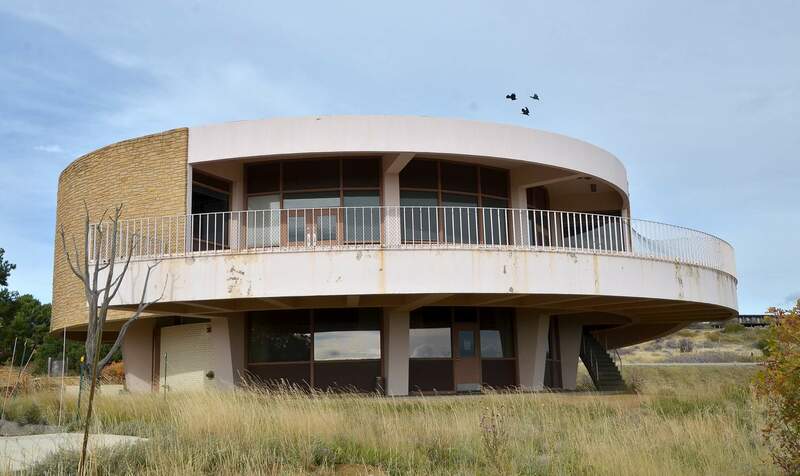 The University of Colorado Boulder is interested in turning the vacant Far View Center into a museum that would feature the biological research its scientists are doing in Mesa Verde National Park. Speakers at the Far View Center symposium on June 30 outline their plans for the vacant building. From left: Patrick Kociolek, Christine Madrid-French and Jane Crisler. 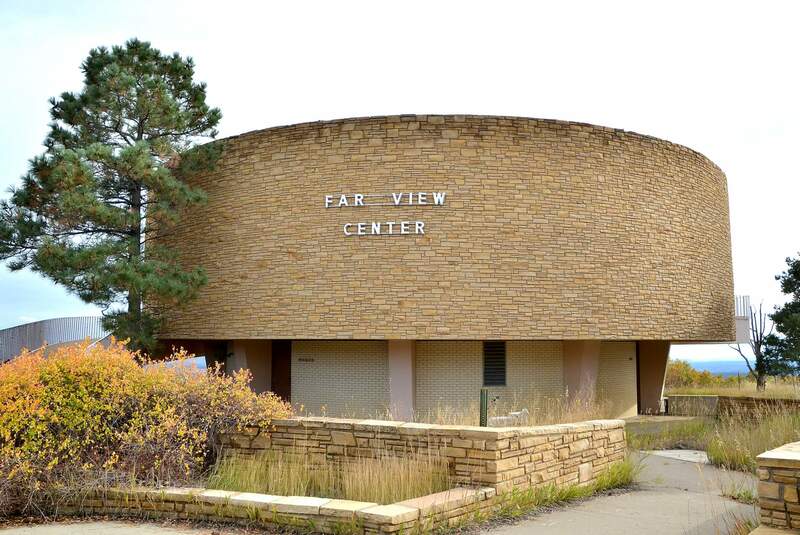 The next step toward reusing the vacant Far View Center will be for a design firm to complete a cost estimate study to determine the price tag of its recommended repairs. 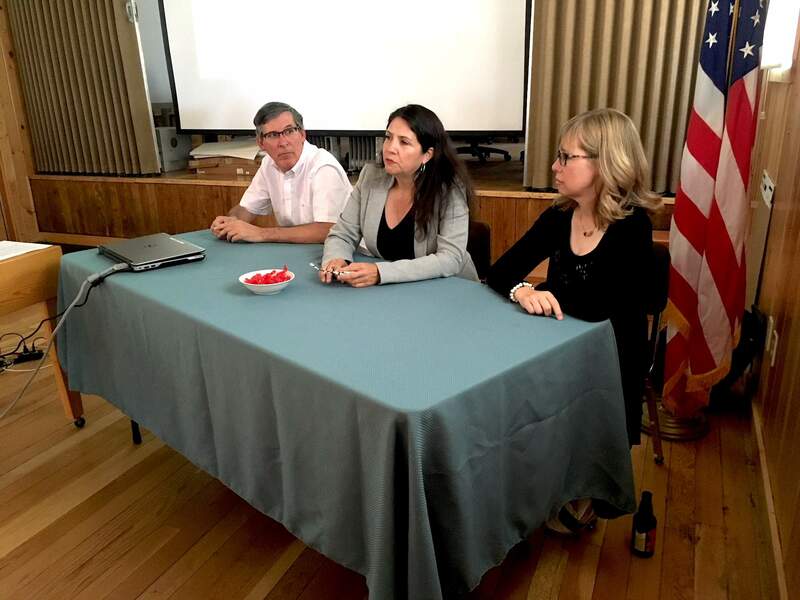 At a recent symposium, a scientist, a historian and an architectural designer outlined a possible future for the long-empty Far View Center in Mesa Verde National Park. The building, formerly the Mesa Verde visitor center, has been vacant since 2014. The Denver-based Form+Works Design Group says the building is in relatively good condition and could potentially become a museum. Patrick Kociolek, director of the Natural History Museum at the University of Colorado Boulder, said at the June 30 symposium, the university is interested in supplying exhibits that could focus on the biological research its scientists are doing in the park. Architectural historian Christine Madrid-French started the sparsely-attended symposium with a presentation about the history of the building, which began construction in 1965 as part of Mission 66, a federal program that resulted in about 100 new visitor centers in parks across the country. She said Far View stands out among those buildings because of its circular, kiva-like shape. Madrid-French contributed to early research into whether Far View could qualify as a national historic landmark. Unlike the park as a whole, the building is not listed on the National Registry of Historic Places, but Jane Crisler of Form+Works said she hopes to change that. Crisler said her company’s survey of the building, which has been going on since October, showed its structure has a “clean bill of health” but would need renovation to comply with modern accessibility and safety codes. The priority, she said, will be getting rid of gaps in the building’s outer shell that could allow water to leak inside. Kociolek gave a few hints as to what that future might hold. He and several other CU scientists have been studying the park’s smallest plant and animal life this year, with the intent of learning how symbiotic relationships work between species and how the park’s biosphere is adapting to climate change. He said the university plans to continue that research, and he hopes to convert Far View into a museum with rotating exhibits about the park’s biodiversity. It could also be a central hub for the ongoing research projects, he said. “In my view, if there was an appropriate, adaptive reuse of the space, this seems like it would be a good one,” he said. Kociolek said he was encouraged by Crisler’s report on the building’s structural soundness, but he added that nothing about the plan is set in stone. There is no time line for when the museum will be finished, if it is constructed at all. The next step toward reusing the building will be for Form+Works to complete a cost estimate study to determine the price tag of its recommended repairs. Crisler said she expects to receive cost estimates from contractors by the end of the month. Kociolek said he doesn’t plan to move forward until the report is ready, but the museum will continue to work with the park on other projects. Findings from this year’s CU research will contribute to new Mesa Verde-themed exhibits at the Natural History Museum, he said. The park and museum plan to offer several joint educational programs in the coming year, starting with a learning kit for fourth-graders scheduled to be unveiled in the fall. It will likely be some time before Far View opens to visitors again, but Crisler and Kociolek said they’re determined to get it done as quickly as possible. He said the university museum plans to continue its partnership with Mesa Verde no matter what happens to the building.